In the lead up to Season 6 NOW TV is asking fans to Tweet @NOWTV with the hashtag #GoTFate to be tweeted back with an animated #GoTFate video, personalised to the profile photo of your Twitter handle. If you share this animated video with your mates and followers then you'll be entered into a prize draw to win an amazing prize where one lucky winner will head off to Belfast for a special Game of Thrones experience on set, courtesy of Winterfell Tours, including an exclusive archery experience on set, direwolves encounter, a visit to 20 key film locations and much more. 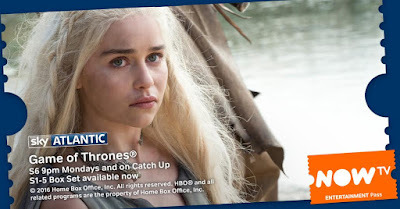 One of our teenagers is currently working through everything Game Of Thrones related that Now TV can offer, including the Box Set Collections of Series 1-5 - our youngster hasn't quite caught up yet, but they might just manage before next Monday, and I have to admit to enjoying a bit of a recap in the run up. 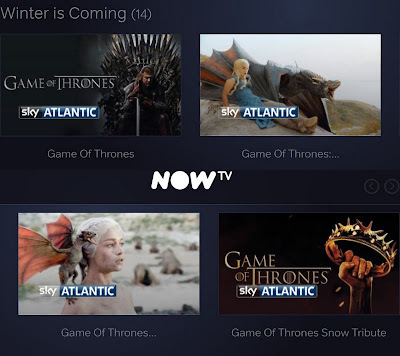 Of course Game Of Thrones will be available to all NOW TV Entertainment package customers, which costs you £6.99 a month - no contract, no ongoing fees, just buy a pass for a month at a time as it arrives. When there is a break between your favourite programmes or you are off on a round the world tour, you won't have to pay for something you aren't using. 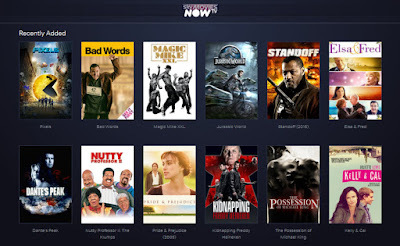 We use NOW TV daily - I had no idea how much Sky Atlantic, Discovery and Sky 1 we watched until we ended our Sky contract last August - the brand new Stephen King drama 11.22.63, Silicon Valley, Limitless and Elementary are just a handful of the shows that can all be watched with a Now TV Entertainment Pass. 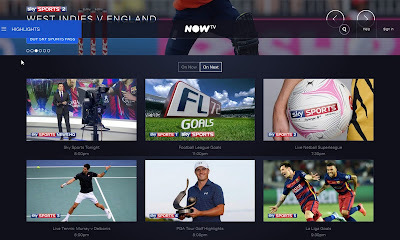 If you are more of a movies or sports kind of person then they are also available from NOW TV. A Movies Pass costs £9.99 a month, and Sports Passes start at £6.99 for a day pass. The NOW TV interface is really easy to use, with incredibly simple menus and navigation around the site, and an impressive search that has never let us down. I've talked more in a previous post about how Now TV works. If you decide to take a break from NOW TV, simply click the big button to cancel your next payment on your account homepage. It's there when you log in, and tells you the exact date of your next payment, so it's really simple to cancel in advance, and to come back you just buy another pass whenever you are ready. 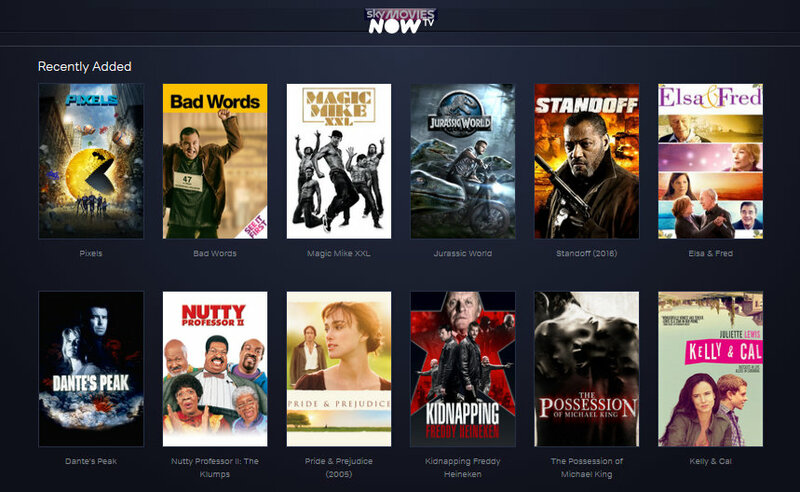 I am a member of the NOW TV Blog Squad and was asked if I wanted to write this post, and paid for my time. It's not half as exciting or dangerous as being a Stark, but that'll do for me. I will get a couple of quid if you sign up using my link and then pay for a pass, but you won't pay a penny extra. 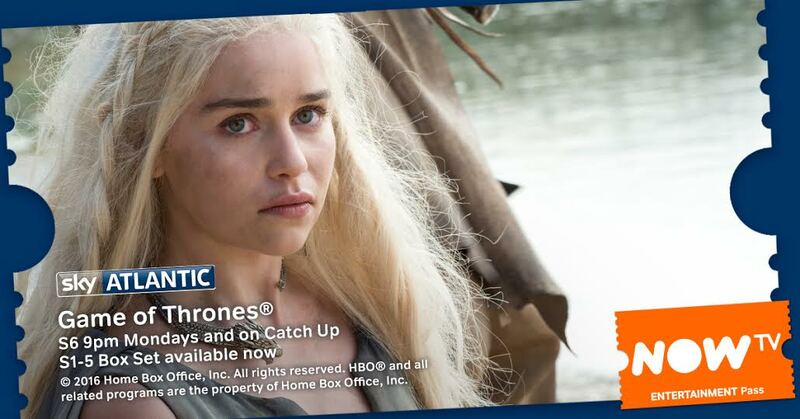 it's not fair that the TV show has put the books on the back burner. I've been waiting for the sixth book for ages.